Isn't it time, the whole world woke up and initiated the "change" that is so desperately needed? Take a look around for a moment, what do you see? Wouldn't it be uplifting to see a world that is becoming "perfectly changed?" Well, that dream is not an impossibility, but the "change" needs to start with each and every one of us. 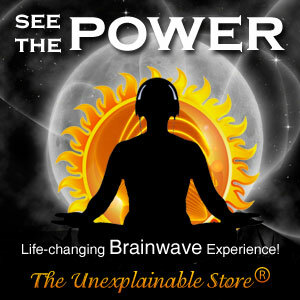 That is why I highly recommend the systems from the "Unexplained Store." Sometimes in life, we need a little assistance, and some guidance, and that is exactly what you will find at the "Unexplained Store." You've got nothing to lose, and "everything" to gain. Just click on either link above for more powerful information.